Based on feedback from my geometry students, I’ve created some Vizual Notes for my pre-calculus classes as well. 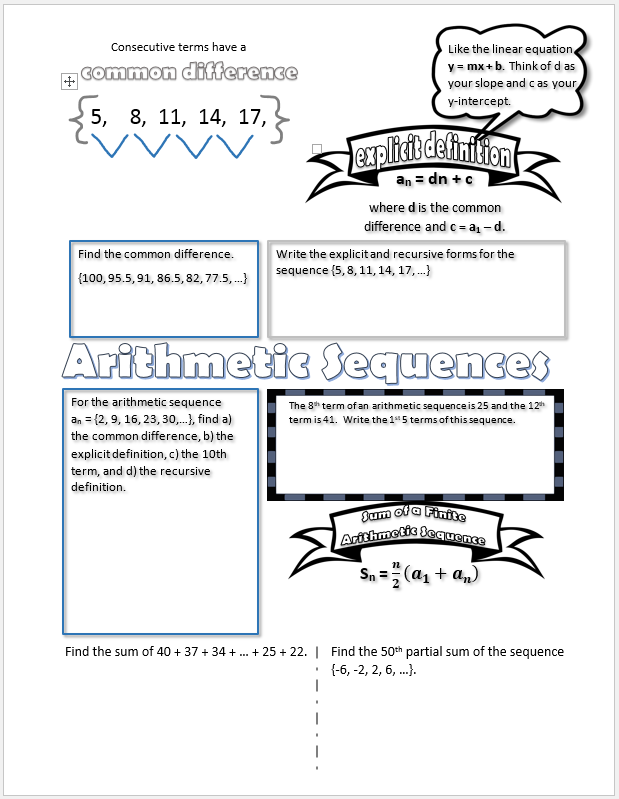 This notes sheet can be used to help explain the the vocabulary involved withe sequences and series – explicit, recursive, summation, factorial, etc. It helps prepare students for Arithmetic and Geometric Sequences. 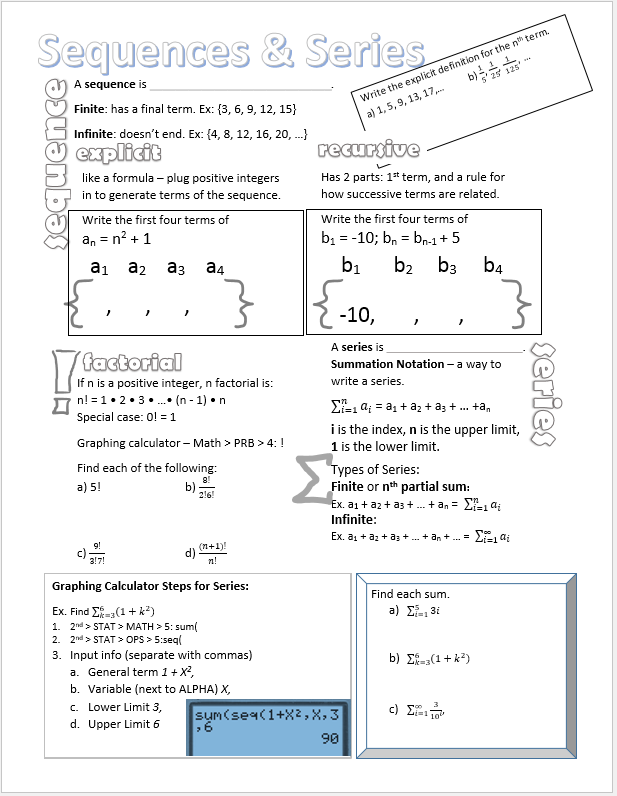 This Vizual Notes sheet takes students through finding common differences, writing the explicit and recursive forms for a given sequence, and finite and partial sums. 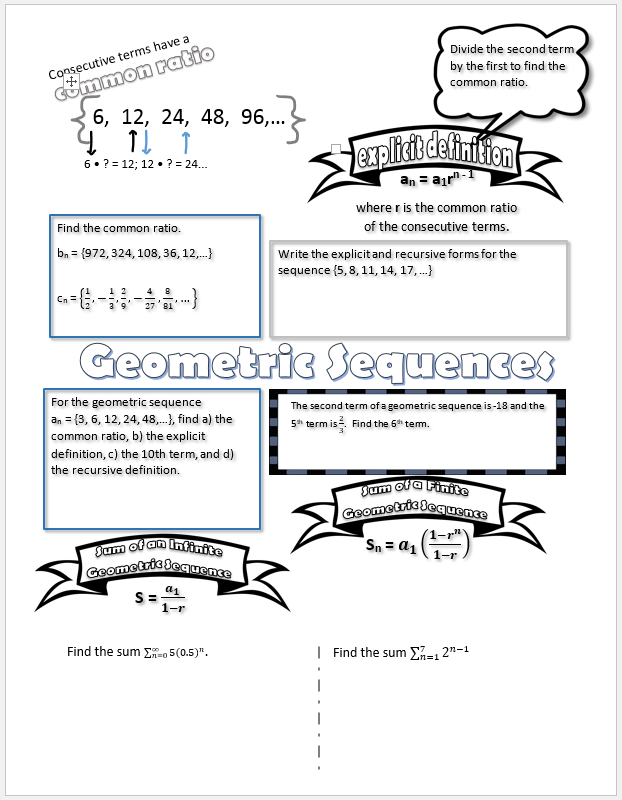 I’ll be using this notes sheet to explain geometric sequences by finding a common ratio, the explicit and recursive forms, and using the sums of infinite and finite geometric sequences formulas.